Christchurch 2015 Edition – Only 5 Copies Left! Christchurch and Canterbury are now in the 5th anniversary year of their earthquakes. The region is changing on an almost daily basis, with vacant spaces now having new buildings being constructed on them. 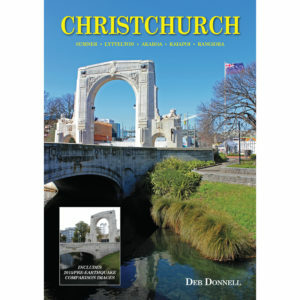 Christchurch, NZ: 2015 Edition takes the reader on a full colour tour of the city and outlying towns, comparing photographs taken before the 2011 earthquake, and updated from the same locations in 2015. It has 56 pages and 85% of the updated images and pre-earthquake comparisons are new.